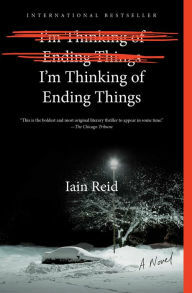 There's not much I can say about Iain Reid's I'm Thinking of Ending Things without giving too much away. 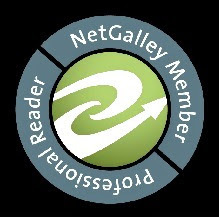 As the reader, you feel unsettled, unnerved, and never entirely comfortable throughout without really knowing why. Reid's mastery is in going right to the edge of your fears but not quite going TOO far in. Jake is taking a road trip with his new girlfriend so she can meet his parents. There is tons of dialogue (very Hitchcockian), and along the way, we learn intriguing details about both of them. It's when they get to his parents' farm that things begin to get strange, and Reid really gets into the details: dead lambs, a trap door with scratch marks, you name it. I admit, it took me a little while to fully understand the ending, and I had to go back and reread it a few times to make sense of it. I don't agree with other reviewers that I'm Thinking of Ending Things is unputdownable; there were parts that were very dry. However, Reid has certainly crafted an original work here, and in this day and age of formulaic novel writing, that's refreshing.